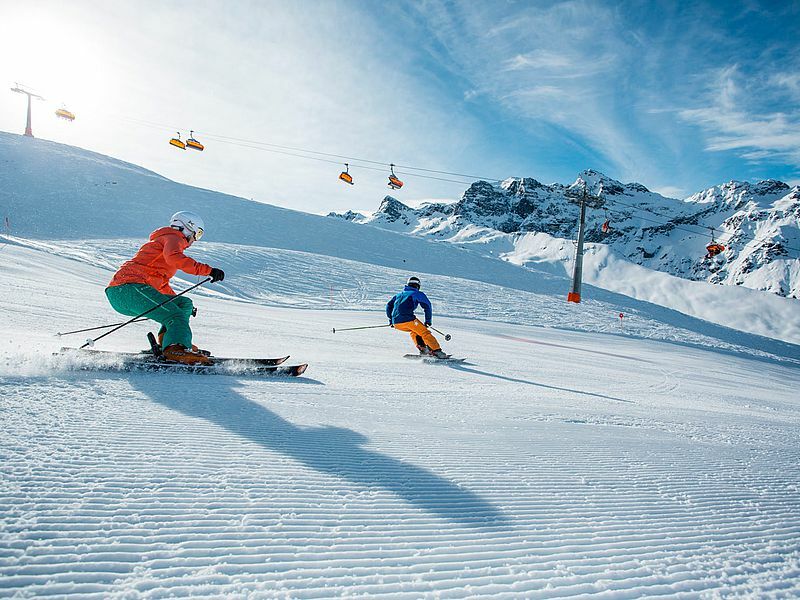 The marvellous mountain world of the Montafon convinces through its extremely good accessability, wonderful weather and approximately 300 kilometres of perfect pistes in all degrees of difficulty. 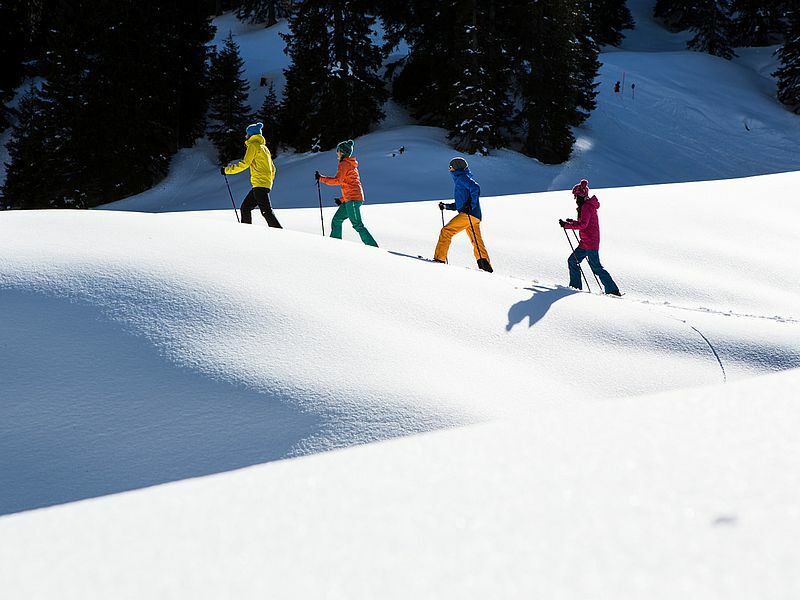 Away from the skiing areas, too, winter enthusiasts really get their money’s worth: skiing tours to the peaks, tobogganing, cross-country skiing or snowshoe hiking over glittering hilltops. Enjoy these ideal conditions extending far into the spring season! In Gaschurn, fun in the snow is waiting for you directly at your front door: The valley station Silvretta Montafon NOVA lies approximately 100 metres away from the Hotel Monika. Our shuttle service brings our chalet guests to the Hotel Monika, where they are able to use the ski cellar and the boots drying room. In the Montafon, skiers and snowboarders, mountain enthusiasts and freestylers can experience an unforgettable holiday in the snow. Relaxing, sporty and demanding activities away from the skiing area delight young and old alike. In the south of Vorarlberg, you can find the optimum conditions for this adventure: slopes of all exposures, forests, altitudes of over 3,000 metres, the glaciers of the Silvretta, and above all snow until well into the spring season. Put on your snowshoes, and off we go! Hike past the snowy forests, across glistening peaks and warm up in the cosy huts. Inhale the clear mountain air with every step; enjoy the peace and quiet of the wonderful natural landscape. The winter hiking routes are optimally groomed and you can discover a new alpine gem every day on an area of approximately 300 kilometres. What is more comfortable than to go after a climb through snowy landscapes in a rustic hut? Delicious Vorarlberg specialties and a cup of mulled wine are just the right reward and you can start the fast downhill. If you prefer to stay in the flat, you will find 33 cross-country ski runs in the Montafon, where you can glide through the idyllic winter world. 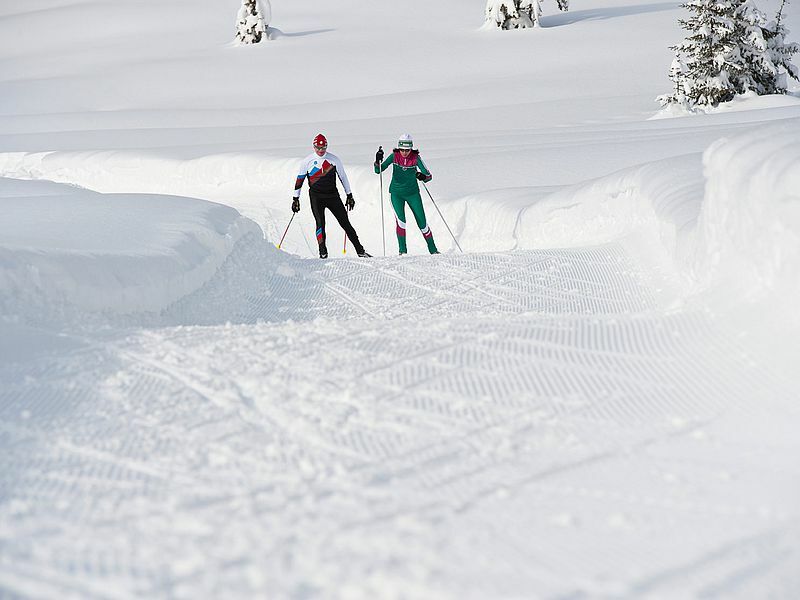 Whether classic or skating, whether beginners or aficionado - the Montafon offers varied cross-country skiing. Real nature combined with friendly hospitality. Book your holiday in the cosy Hotel Monika, in the luxurious chalets or in the generously-sized City Apartment. We are looking forward to seeing you!